« What we ate, chicken broccoli alfredo! This morning we were definitely moving to a new Website. Now it’s up in the air. Basically, I can’t make up my mind about anything. And once I decide something I change my mind. Then change it back. Then I get a NEW idea, realize it won’t work, and get stuck in limbo. Welcome to limbo. Featured here is one of the banners I worked on last week. You might remember that angler from Louis’s New Friend. I also added pictures to the side panel, which I JUST learned how to do! 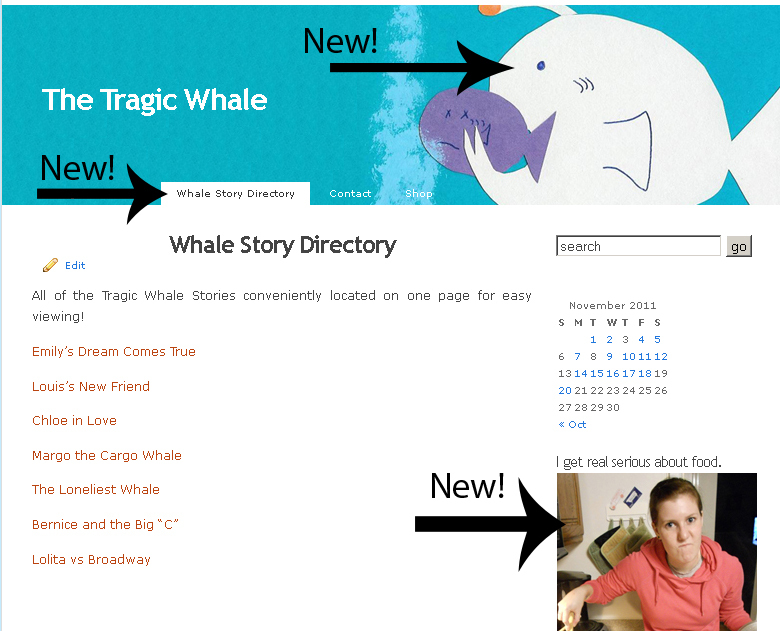 And perhaps the best new feature… The Whale Story Directory!! Say you like the Tragic Whale Stories, but you think the rest of the Site is kind of lame. 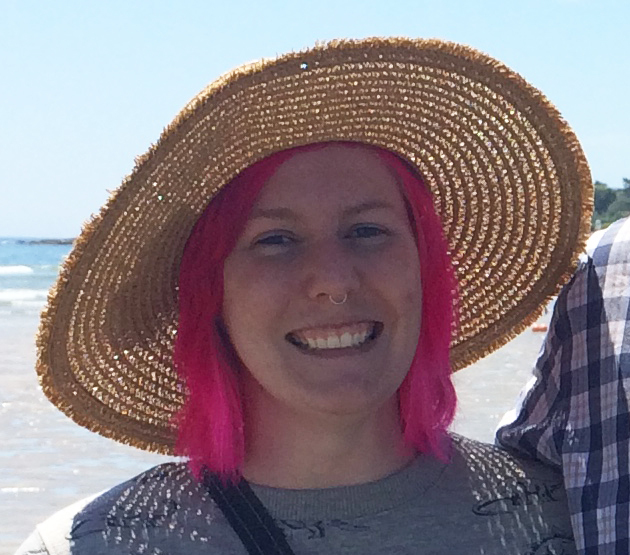 All of the Whale stories are conveniently located in the directory for easy reading! New stories will appear at the bottom (probably with a NEW! next to them). And there’s a new story coming out soon, we’re just waiting on the pictures. There’s also a new Links category (love, love) down under my picture so you see some of the blogs I like to read. Check them out, maybe you’ll like them too!